Walt Woodward, Mary Woodward's father, was co-owner and editor of the weekly Bainbridge Review until 1965 and subsequently served on the editorial staff of the Seattle Times. 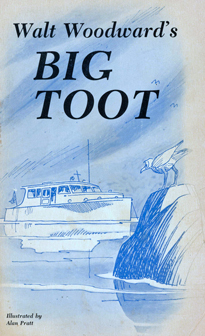 He is also the author of Big Toot (1978), a humorous book that takes the reader along on the Woodward boat, together with Walt, his wife Milly and their children, cruising up and down Puget Sound. Illustrations are by Alan Pratt. The book is available through the Bainbridge Public Library local authors' collection.